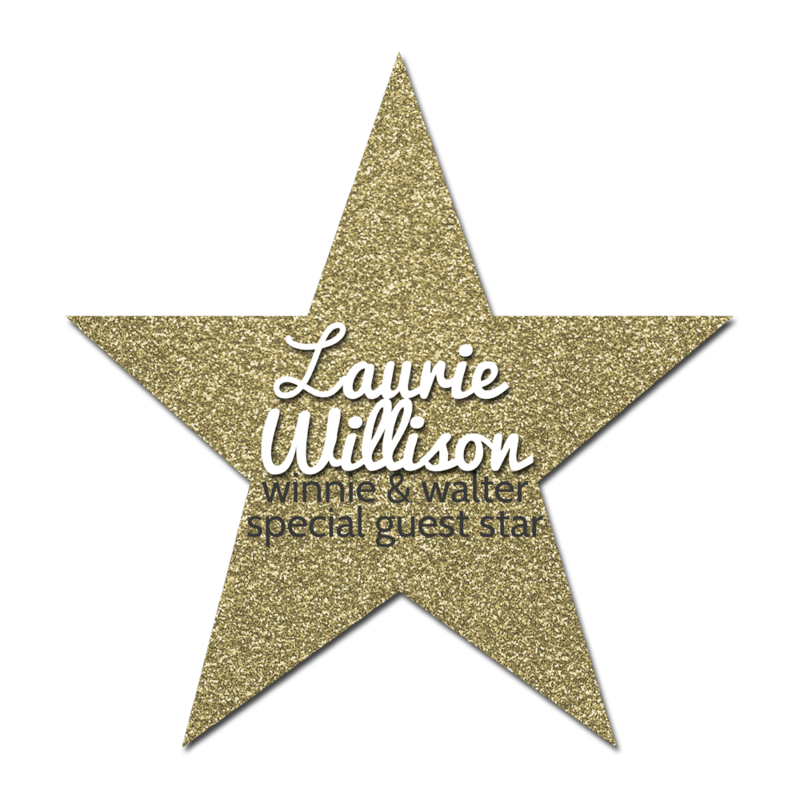 We are so delighted to have w&w friend and sensationally sweet and talented, Laurie Willison back as our Special Guest Star this week! Laurie is a generous as she is gifted and we are so thankful to have her crafting with w&w products once again. Not only does Laurie have 3 projects to share with you this week, but you will also want to go to her blog for a chance to win a $30.00 gift card (gift code) to the w&w shop. Inspiration from Laurie Willison + a giveaway...win-win! CLICK HERE to see more from Laurie and remember to comment in order to enter to win! Want to see what gorgeous projects Laurie made during her first Special Guest Star gig (she was one of our inaugural Special Guest Stars during our Grand Opening Event)? Of course you do so CLICK HERE! Come back Wednesday for another clean, simple and outstanding project by Laurie! I like the subtle distressing on this card, thanks for a chance to win! Beautiful colour conception, wonderful card!!! wow this card is awesome and so is Laurie..
Love Laurie, Wonderful card and I can't wait to see what else she has to share! I'm a big fan of Laurie's work, and this card is why, she ROCKS!!! Love Laurie AND her work, this is awesome! Love the chevrons and the hello stamp. Great card. What a pretty card! I love the colors combo! FABULOUS card - LOVE the colors, LOVE the BIG chevron and LOVE the heat embossed sentiment on the vellum - TOGETHER they make WOW!!! Laurie always creates gorgeous projects and they are even better with Walter &Winnie products! Love your design Laurie congrats! So simple, yet so beautiful. I absolutely love it. 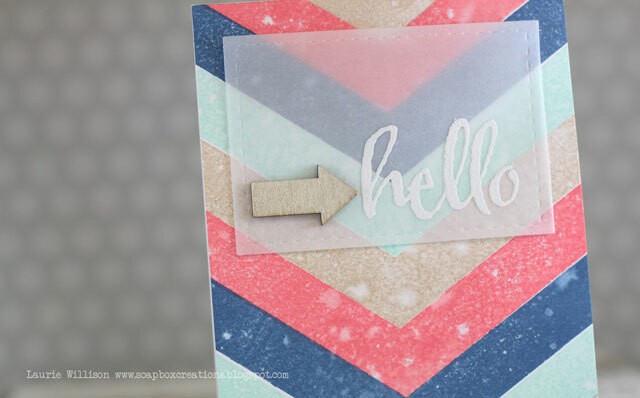 Love the chevron stamping - some pretty! Wonderful Colors! Love this Stamp and the way Laurie used it to create this card.